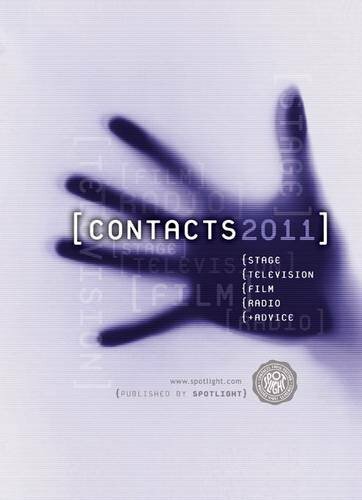 CONTACTS is a handbook for the entertainment industry. Hugh was invited to write the Foreword to the 100th edition. One evening in 1985, when I was starting out, I fell into conversation with an actor in a pub in Clapham. “In this profession it’s not what you know, it’s who you know”, declared the sage. “If you haven’t got contacts, don’t bother”. Instantly I slumped into depression. No, I didn’t have any ‘contacts’. In fact I didn’t know anyone in the industry I had set my heart on joining. But I had recently read about a Hollywood legend getting his first break by smashing up an audition room; he’d taken the bull by the horns and Gone For It. So now it was my turn. I’d heard rumour of an ‘after dinner theatre’ tour of the Middle East. I knew the play and there was a part that had my name written all over it. The Director was based at Plymouth Theatre Royal, so off I set from London in my car. I may have had no contacts but hell I had talent, determination and a map. The Stage Door Keeper looked at me blankly. I had no appointment and besides, the Director was out getting his laundry so would I please leave. I said I’d wait. She tried to get rid of me several more times but I was in an audition-room trashing mood and refused to budge. When the Director finally appeared two hours later I announced that I’d driven two hundred miles to give him the chance of auditioning me for a role I was born to play. “Haven’t you got Contacts?” he sighed. He just looked at me, confused by my answer and gobsmacked by my naivety. I bought my first copy of this publication the next day. The pink cover of my 1985/86 edition has long since faded. Portrait photographers’ adverts provide a snapshot of contemporary hairstyles: Bucks Fizz for the women, Simon Le Bon for the men. And there’s a woman clutching an alligator. There are also the ghosts of the two hundred and fifty addresses I culled from its pages in order to write to agents and theatre companies, announcing the arrival of the best thing since sliced bread, namely Me. 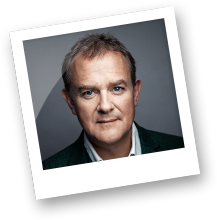 I took pains to make each letter personal (“I’ve often dreamed of performing in Leatherhead…”) and was scrupulous about spelling, punctuation and the correct form of address. To the agent Lou Coulson, for example, I wrote “Dear Mr. Coulson”. Strangely, she never got in touch. However, about one hundred and fifty others did reply, informing me via photocopy that they would keep my details ‘on file’ and I would be invited to audition when they were next casting or when hell froze over, whichever was the later. For years I kept these rejection letters on a bit of string tied to the toilet roll dispenser in my bathroom; a gesture that combined two-fingered defiance with a nod to recycling before it became fashionable. As time went by my wad of spare loo paper diminished. I think the Churchill Theatre Bromley was the last to go down the pan. But those two hundred and fifty letters did at least yield two auditions. 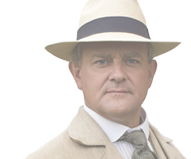 One was for The Open Air Theatre, Regent’s Park, and took place in a house in South London. As soon as I was in the room, I launched into my Oberon, full of voice and semaphore. I was booming on about oxslips and nodding violets, waving my arms around as if trying to tell a plane where to park, when Declan Donnellan, who was directing Romeo and Juliet that season, interrupted me, pointing out that I was not on stage at the King’s Theatre Glasgow with a need to impress the Upper Circle, but in a cosy sitting room in Putney playing to an audience of one – him – who was all of three feet away. He told me to start again and do it better. I spent the next six months at the Open Air Theatre, biting my thumb at thee and clutching my newly acquired provisional Equity Card. So I would qualify the Clapham pub philosopher’s wisdom by saying that the breaks come when Luck allows you to put your indisputably talented self in the right place, at the right time and in front of the right person. And to give yourself a better chance of achieving this, you do indeed need Contacts.